Love the Big Bunny, Bitty Baby. This looks great! I like Quite Easily Lost. I follow you on bloglines. I think you should post a video of your daughter doing her tree blowing am movements. Cute! My boys and I love Panther Stamp Pants. So much fun! We would LOVE to win this! I like Quite Easily Lost, but Mint Green Bee and New Blue Star are fun too. I think it is called Green Heart? I am a follower and would love to win this for my grand niece...thanks for the giveaway! I like Panther Stamp Pants. Really interesting songs! Sugar Boat is a cute song! Thanks for the chance to win. I like New BLue Star! I really like Quite Easily Lost. My daughter would love this! 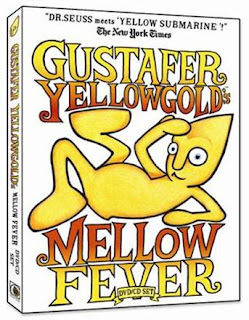 Gustafer Yellowgold's Underwater stars is our fav! We enjoyed listening to them! Thanks for the review. I'm following you on twitter as susieqtpie and I just tweeted this!!! I liked Getting in a Treetop.